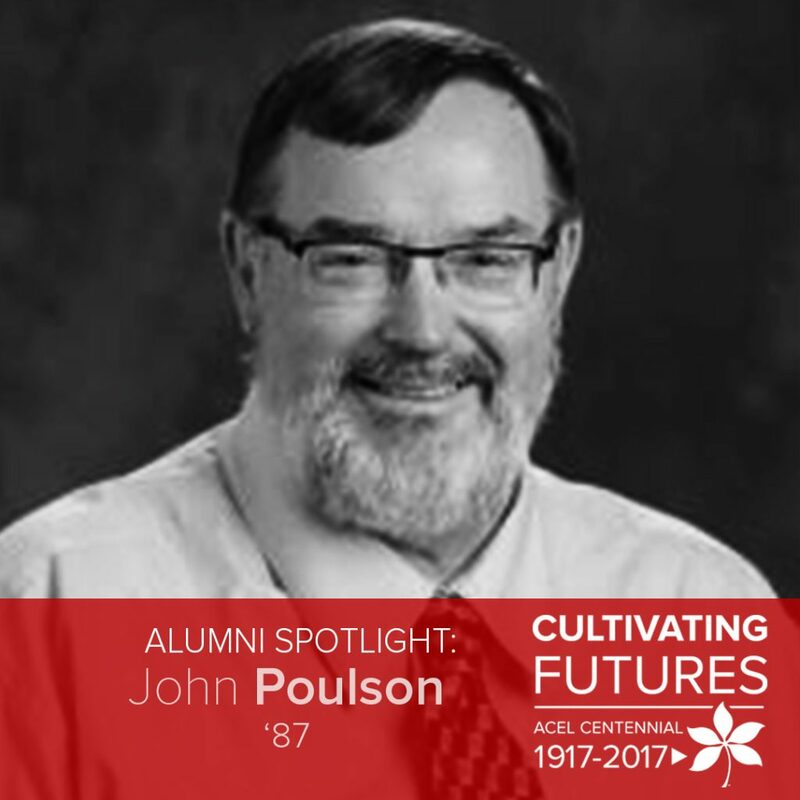 John Poulson is an agricultural educator at the Pettisville Local Schools. He graduated from Ohio State in 1987 with a master’s degree in agricultural education. He also holds a bachelor’s degree in animal sciences and agricultural education from Ohio State, which he received in 1981. [ACEL]: Hi John! Why did you select your majors and graduate program? [POULSON]: I dual majored in animal science and agriculture education because I thought I wanted to work in the animal industry, but the agricultural education classes showed me the diversity of being involved in many subjects. It was the only school in Ohio that offered agriculture and where I could get accepted at automatically. Plus, my mom and dad both graduated from Ohio State. The agriculture education classes, the course professors and student teaching showed me I could teach if I wanted to, and I decided I wanted to. I was involved in several ways with the Agricultural Education Society, I especially remember being co-chair of the banquet two years. I was inducted into Towers Honorary, but I don’t remember much about it. I worked three years in the Meat Lab, which was a great experience and I have used those skills often. My last two quarters on campus I was in-charge of clean-up there. I enjoyed several classes and it was usually because of the professor or teacher being engaging and challenging. I especially remember the agricultural education series of 100, 200 and 330 which prepared us for the classroom. Professors included: Drs. Peters, Knight and Newcomb. In animal science I enjoyed 200 with Dr. Plimpton, the meat courses with Dr. Parrot and animal nutrition with TizWiz. I think Dr. Hedges did the most to make us think that the problem solving approach is the best method of teaching, then and now. I also enjoyed taking archery and bowling. Most professors impacted my career if they gave us material to use in class and methods to use them. After 36 years of teaching and working in the industry, I use parts of their materials on a daily basis. The ones mentioned above plus Drs. Gleem, Erving, Papritan II, Lichtensteiger, Conners, Burke and more, some of which I can’t remember. 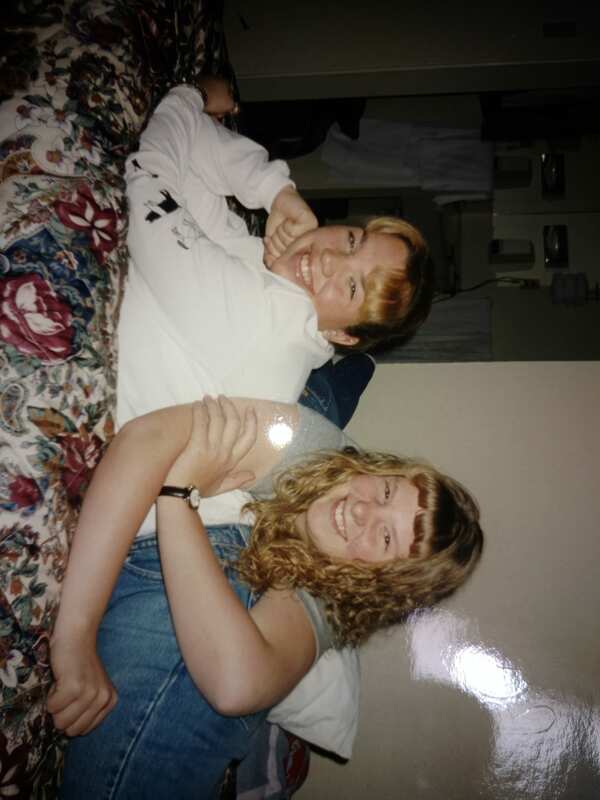 I lived in Norton House all four years and those times spent with many friends made lasting memories which include meeting my wife, Lexie Zenz. 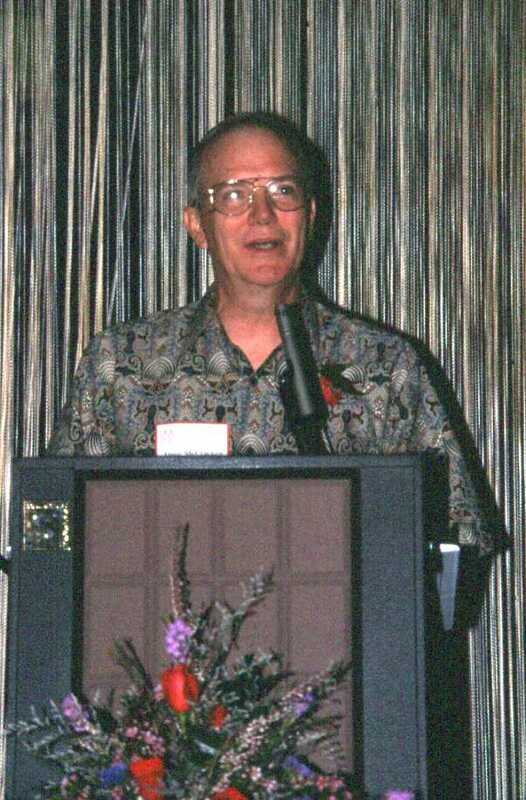 In 1981 I became the vocational agriculture teacher at Crestview High School in Richland and Ashland counties. Are there other places you have worked throughout your career? 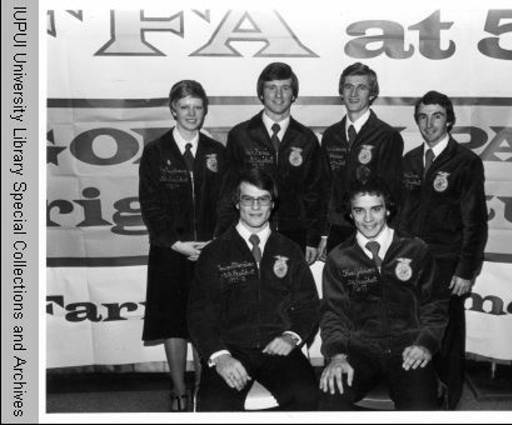 I worked as the agricultural educator and FFA advisor and helped start an alumni group at Crestview until 1988 (7 years). Then was an organization director for Ohio Farm Bureau in Henry, Fulton and Williams Counties for 2 years. In 1990 I started at Pettisville Schools as the ag teacher and FFA Advisor and have helped start an alumni group here. I have been named an OAAE Outstanding Young Teacher, Fulton County SWCD Outstanding Supporter, Honorary American FFA Degree recipient and a NAAE AgScience Teacher of the Year. My favorite career highlight is seeing the number of students who excel in the agriculture industry at the local, state and national levels. It is gratifying to know the affect they have had in the industry. I also see the many students who work in other industries but still know and love what agriculture means to our world. Learn to learn and keep learning, with your students, employees, and customers. Be open to working harder to help reach goals for others as well as yourself. And, figure out how to get your family involved with what you like to do so that work can sometimes be a hobby too. The support that people in the college have given me as a teacher over the years has helped. It wasn’t just during college but in many of the years since. Like Dr. Henderson during my first years of teaching, L.H. during my master’s program and various OAAE activities. More recently the interactions of helping Dr. Whittington teach about high school recordkeeping and working with ACEL for summer conference programming have made me a better teacher. The best thing that can come from this celebration is the understanding that agriculturalists need a team of educators in the industry, the classroom, the research labs, etc that know what others are doing. 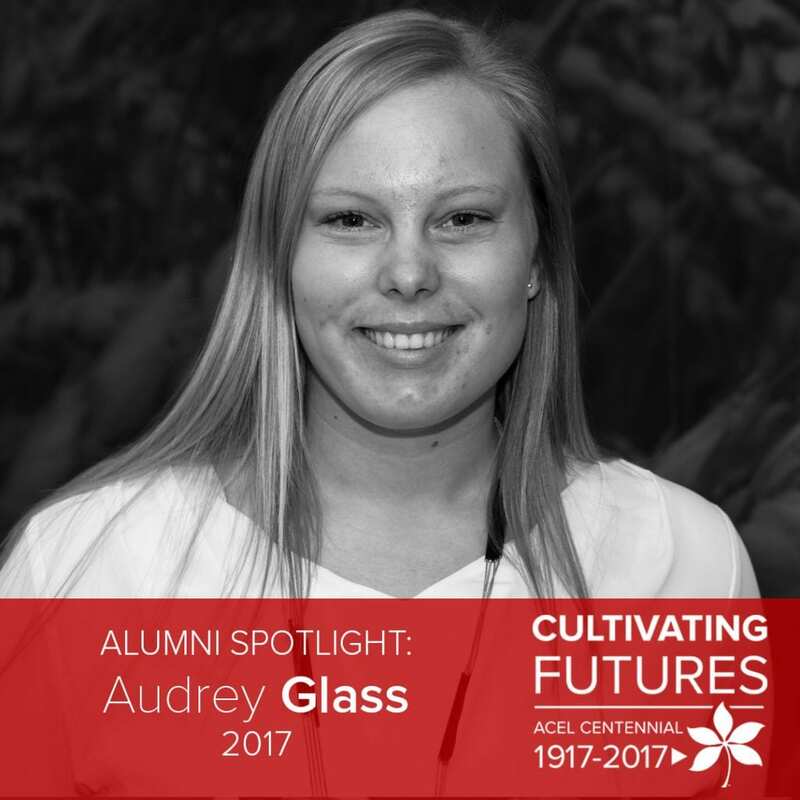 Audrey Hoey Glass ’17 graduated with a bachelor of science degree in community leadership, with a specialization in community and extension education. 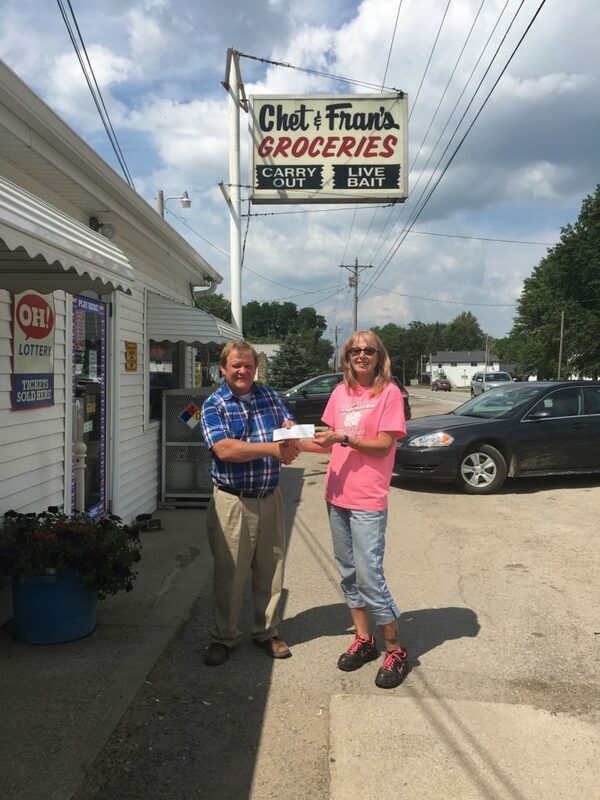 She now works for the Ohio Farm Bureau Federation as an organization director for Pickaway, Ross, Fairfield and Hocking counties. [ACEL]: Hi Audrey! Why did you select the major of community leadership? 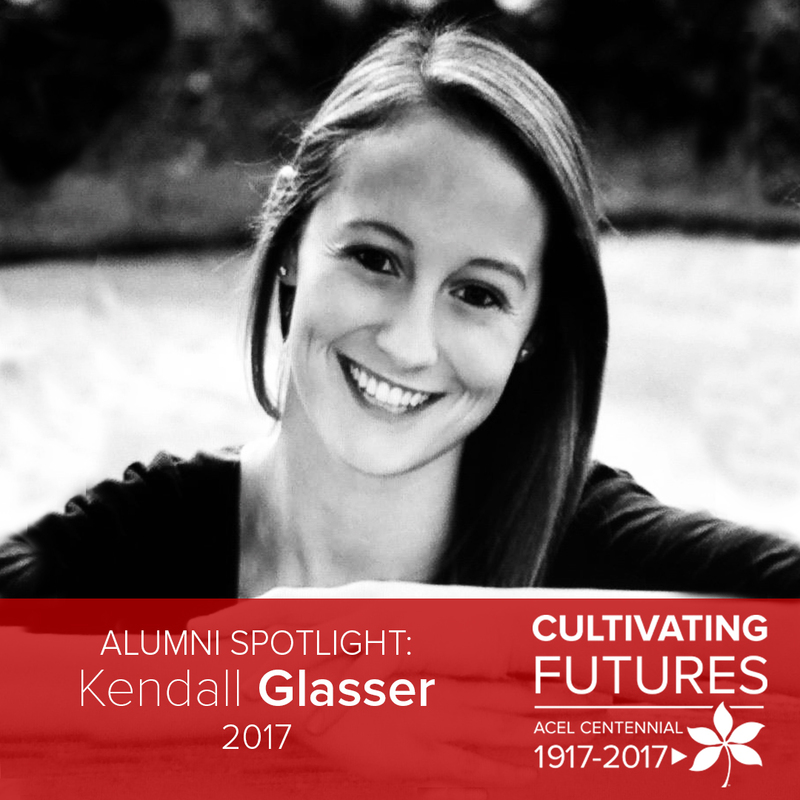 [Glass]: I chose community leadership as my major, after changing majors multiple times, because I have a passion for working with others. As a high school student, I always knew I wanted to attend Ohio State and be involved in the CFAES community, but was not ready to make that move right away. I completed my first two years at Ohio University-Chillicothe, then made the transition to Ohio State to pursue a degree and career in agriculture. Leaving the small-town campus community that I had enjoyed so much was frightening, but I was able to find a similar environment through ACEL and CFAES that lead to experiences and opportunities that could not be matched at another university. Through my first two years of college, I thought I wanted to be an ag teacher. I am passionate about helping others, being involved in the community, and being involved in the agricultural industry, so naturally being an ag teacher sounded like a perfect fit! After being immersed in the greater community and network that ACEL and CFAES offers their students, I quickly learned that I could do all of those things I mentioned before without being in the classroom setting. 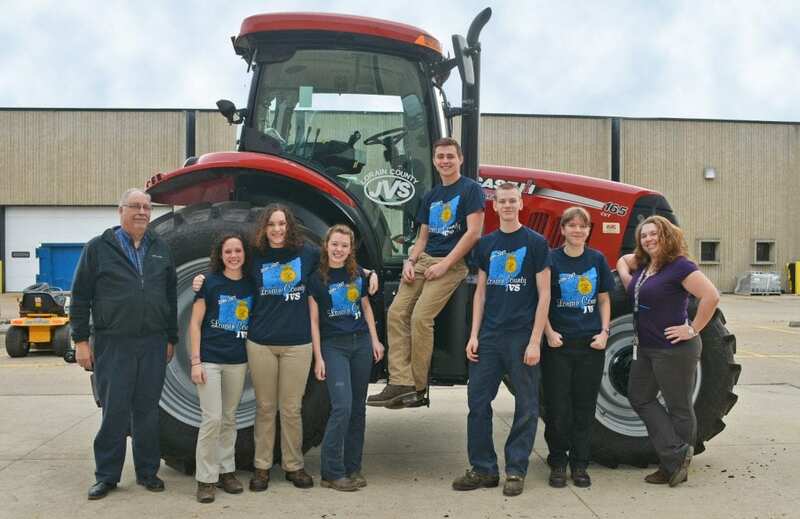 This opened my eyes to a wide range of opportunities, ultimately leading to my job with Ohio Farm Bureau. CFAES Celebration of Students Committee – solicitations chair, Agriculture Future of America campus ambassador, Sigma Alpha Professional Agricultural Sorority, ACEL student employee. This one’s easy – Dr. Jamie Cano! Dr. Cano always had a way of inspiring his students to be their best, not just inside the classroom, but more importantly in the activities and experiences they had outside the classroom. He encouraged students to reach out of their comfort zone and have new experiences, just as he did with me, my husband, and the many other students who studied abroad in Honduras with him over the years. His devoted passion for his work is contagious and he truly serves as an inspiration to not only his students, but all who come in contact with him. Get involved, but not in everything. When I first came to Ohio State, I wanted to be involved in every organization, club, and event that was available. After a few months of attending what seemed like a different meeting every night, I found myself a little over-stretched. How could I possibly have an impact if I am spreading myself so thin? I decided to choose a small handful of my favorite organizations to get deeply involved with and focus my efforts where I felt most passionate. Testing out many different organizations is important, that way you can discover what you like and do not like. I recommend narrowing that down to a few organizations that you can dive into and become a leader within, this will help you build leadership and organization skills that will transition into your career after graduation. 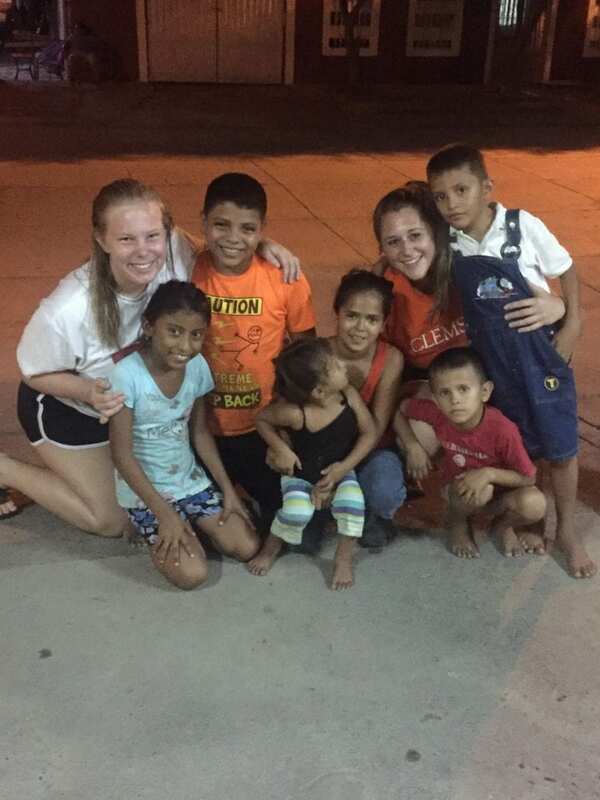 Studying abroad in Choluteca, Honduras. 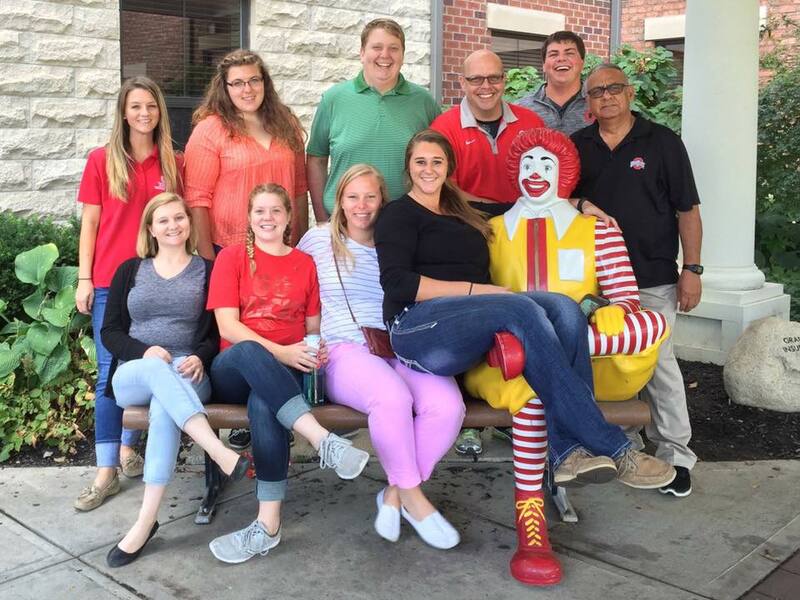 A Honduras study abroad reunion volunteered at the Ronald McDonald House in Columbus, Ohio. Audrey and David on graduation day – May 2017. 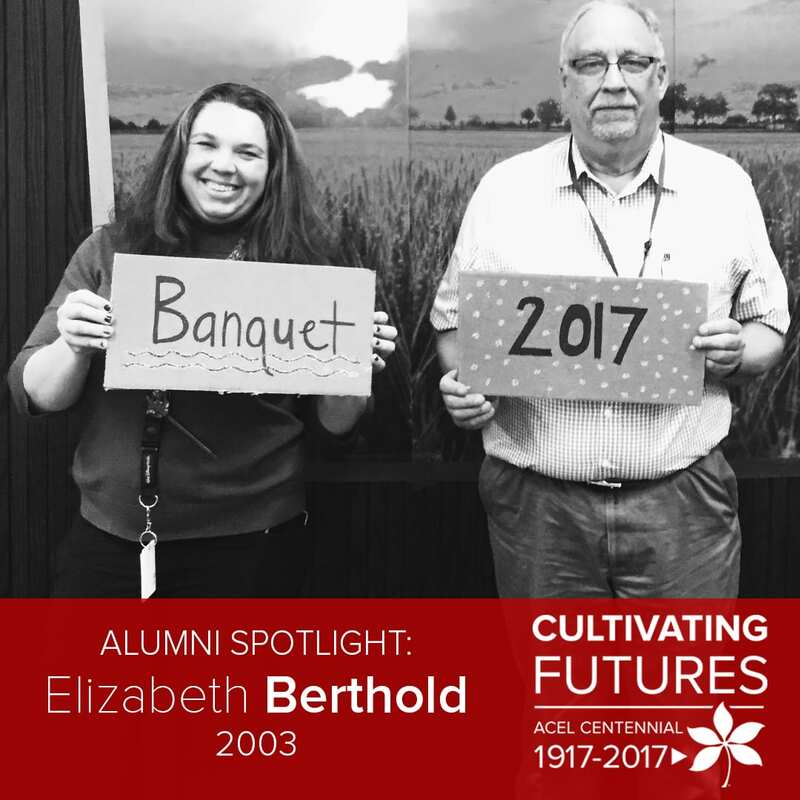 Elizabeth Berthold ’03 holds a bachelor of science in agricultural education from Ohio State. She is the current landscape and greenhouse management instructor with the Lorain County JVS. [ACEL]: Hi Elizabeth!Why did you select to major in agricultural education? [Berthold]: I wanted to help the next generation of agriculturists. Ohio State was on top of my list, for not only being a great agriculture school, but also I loved the way that campus felt when I first stepped onto it. Without my education at Ohio State, I would not be the teacher that I am today. It helped to foster my confidence and helped me begin the horticulture program at the JVS. I worked at the Ohio 4-H Office as a work study student and was involved in Poultry Science Club, Agricultural Education Society and Collegiate 4-H.
What was your first job following your graduation from Ohio State? I taught for a year at a small school in Indiana – Hamilton Community Schools. I have taught at Hamilton Community Schools and Lorain County JVS. I have been the horticulture taxonomy chair for the past few years. I am so proud of starting the Landscape and Greenhouse Management program at the Lorain County JVS. It was an amazing opportunity to take a program and build it from the ground up. Take all the opportunities you can, you never know what you will do with your life. 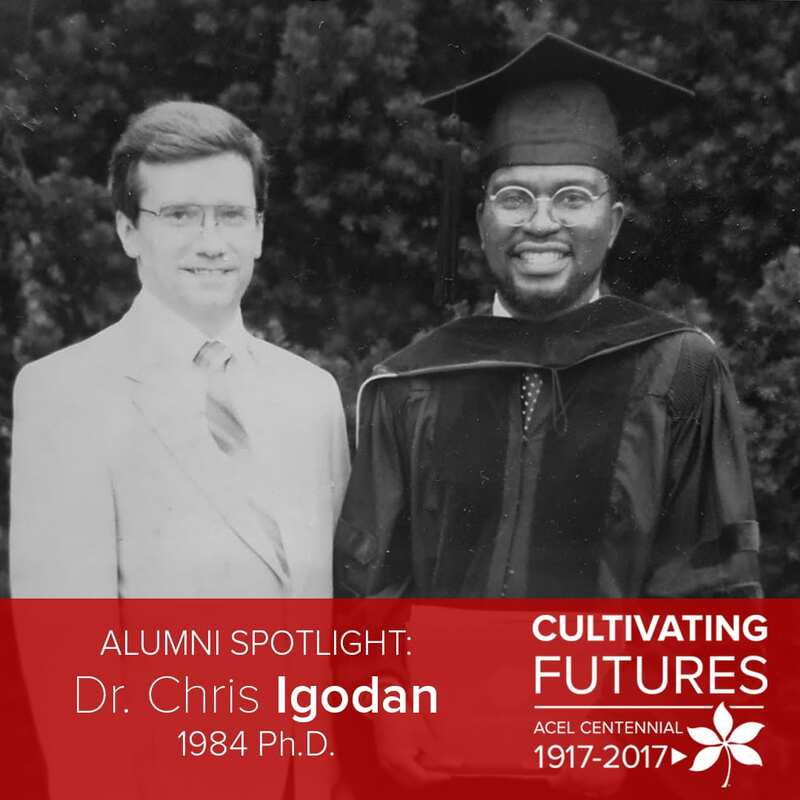 Alumni Spotlight: Chris Igodan ’84 Ph.D.
Dr. Chris Igodan graduated from Ohio State with a doctorate in agricultural and extension education in 1984. Originally from Benin City, Nigeria, Igodan has worked in agricultural development in number of countries throughout his career, and currently serves as a professor of agriculture and international development and is the leader of international extension programs for OSU Extension in Columbus, Ohio. [ACEL]: Hello Dr. Igodan! Why did you select to attend graduate school for agricultural and extension education? [Igodan]: I have long been interested in farming, food and land. I wanted to be involved in agricultural development in my native country, Nigeria. I don’t quite recall the reason. I remember I was heading to Purdue when I suddenly changed my mind to Ohio State! The Ohio State name provided me global recognition and international network upon return to Nigeria. Of course, I was equipped with a good understanding of theory and research. When I eventually came into the field of agricultural extension, it all blended easily. I was a member of the Agriculture Honor Society ( Gamma Sigma Delta) and the African Students Association. I worked as a lab assistant to Dr. Phil Larson in the Department of Plant Pathology at Kottman Hall at that time. The Agricultural Education Research Series, especially Dr. Warmbrod, Ag. Ed. 887—Research Analysis of Data. 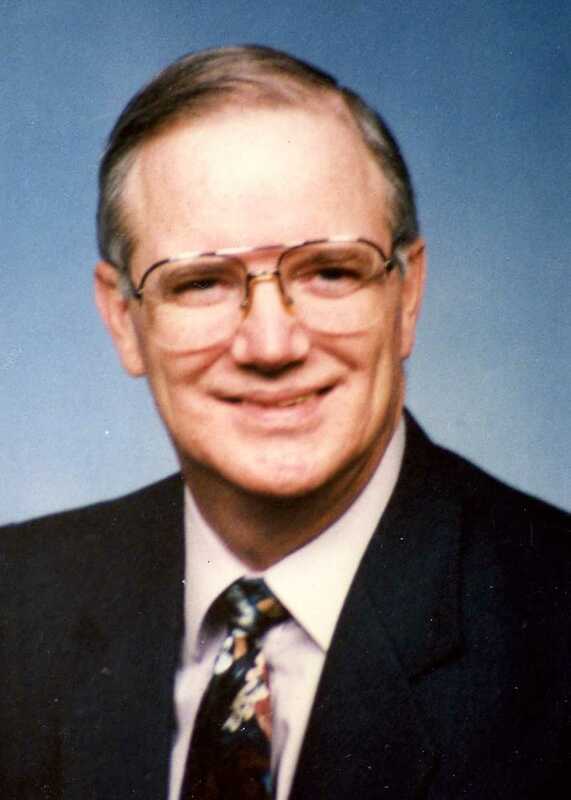 I was more or so influenced and impacted by the teaching and stories of international development work by two mentors, teacher and friend, the late Dr. Paul Henderlong, emeritus professor of agronomy and Dr. LH Newcomb for attention to details at all times. Trained under Dr. LH Newcomb, emeritus professor in agricultural education. Zero or no margin of error allowed in all that you do, especially in research dissertation. Several—University of Ibadan (Nigeria), International Livestock Center for Africa, Addis Ababa (Ethiopia), University of Fort Hare, Alice (South Africa) and Ohio State University, Columbus, (Ohio/USA). I have served in various academic and administrative leadership positions, including, Research Associate/ Fellow, Department Chair, (South Africa) Associate Dean (OSU/USA), Director of Agricultural Technical Institute (OSU/USA), Dean (South Africa). Gamma Sigma Delta (Ag. Honor Society), President’s Volunteer Award (USA), Distinguished Service Award, University of Benin (Nigeria), University Diversity Enhancement Team Award (OSU), Salzburg Seminar Fellow (Austria), Nigerians in Diaspora Award/NIDO for distinguished service (Columbus/USA), Edo National Association Worldwide, Board of Advisers Award for distinguished service (USA). I am very active in the Nigerians in Diaspora Community in Columbus. I have also served as Director and National Board Member for Nigerians in Diaspora, USA. I co-founded and run a Columbus based not-for profit organization extending training in education and knowledge transfer to the African continent. Volunteering in international development efforts in Africa. Explore other cultures and expand your network/opportunities. 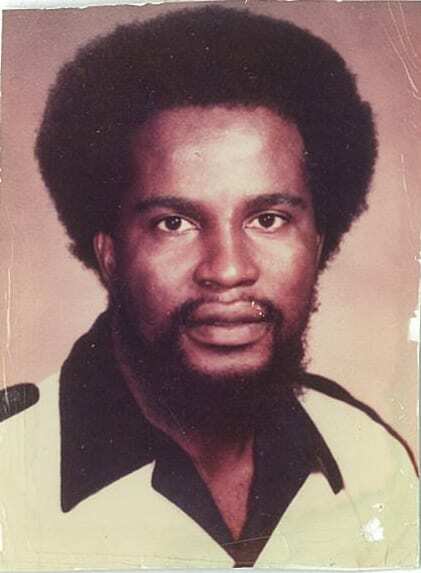 As a graduate student in 1981. 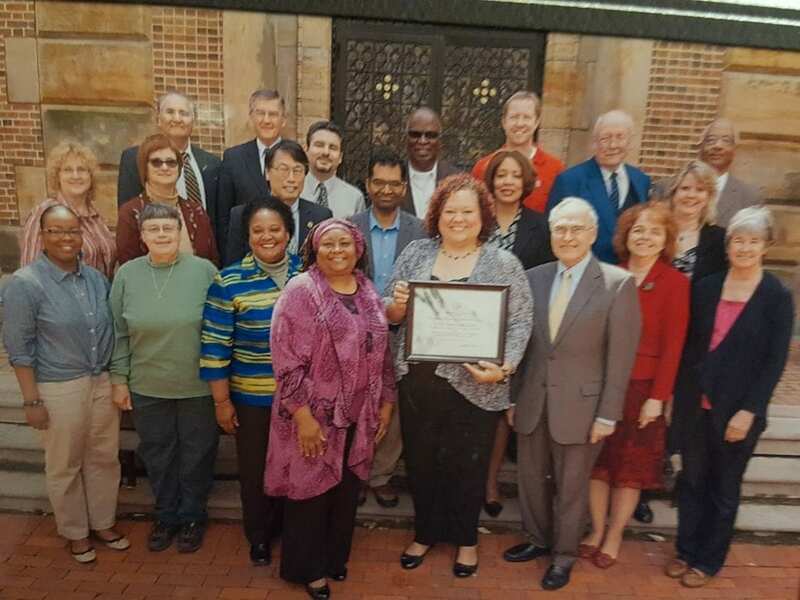 Receiving the OSU Diversity Enhancement Team Award with Acting OSU President, Joe Aluto and CFAES Diversity Director Kathy Lechman. At OSU graduation with adviser and mentor, Dr. LH Newcomb. At a Buckeye game with interim President, Dr. Joe Aluto. 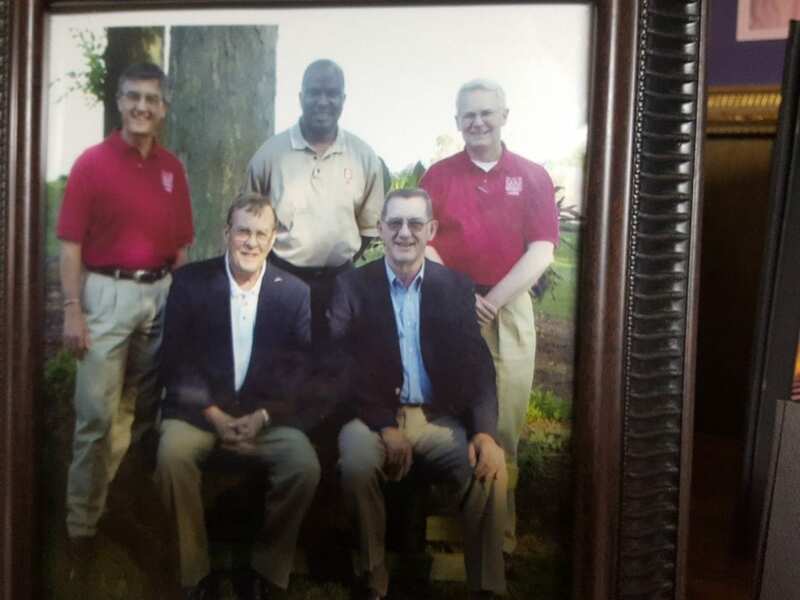 With OSU Administrators in 2003. 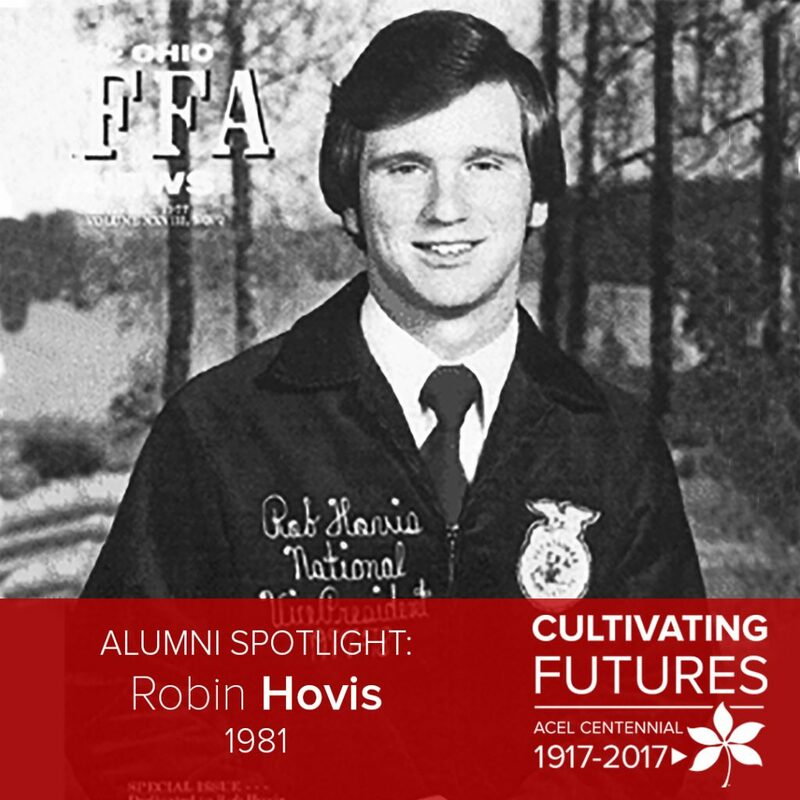 Robin Hovis graduated in 1981 with a bachelors degree in agricultural education. Shortly after graduation he became a teacher of vocational agriculture at Crestview Schools, Van Wert County. Hovis is currently a Financial Advisor for Edward Jones Investments. Why did you select your major or graduate program? Our family farm was not large enough to support two families so I decided that teaching vocational agriculture at the high school level would be great way to work in agriculture and stay involved with FFA, which was an important aspect of my life in high school. 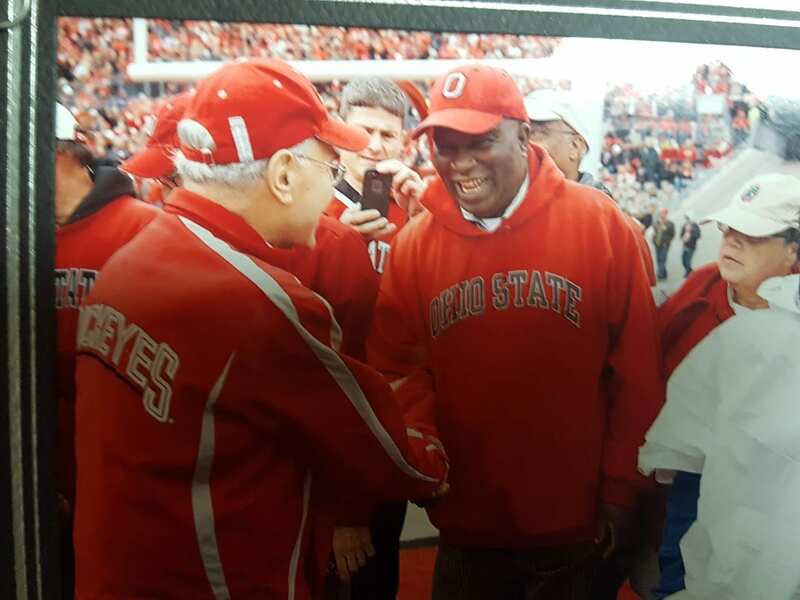 My high school ag teacher, Keith Nowels, was also a major influence in my career choice.Why did you choose to attend The Ohio State University? It was the only college of agriculture in the state, and I was familiar with the agricutlural campus as a result of FFA activities hosted there. I was active in the Agricultural Education Society and was a charter member of the Student Alumni Council. I also volunteered as a reader for blind students. I signed-up for a “dessert course” each quarter — my name for a course I took just for the enjoyment of it — as a treat for taking all the math and other required subjects. Theses ended-up being my favorites, even though I enjoyed the courses in my major field of study. Among my dessert courses were Argumentation and Debate, Ballroom Dancing, Ohio History, Greek and Roman History, Islamic History, Russian Culture, Ancient Hebrew Literature, History of Art, and The English Bible as Literature. Each of these was a fascinating experience. My faculty advisor, Dr. J. Robert Warmbrod had a major influence in my OSU experience. He took a personal interest in my course planning, and advised me in many decisions which I would not have made as well on my own. Also, Dr. L.H. Newcomb was an outstanding undergraduate professor and made his courses lively and interesting. The late Dr. Rodny Plimpton (Animal Science) and Dr. Bernard Erven (Ag Econ) were also stand-out instructors. 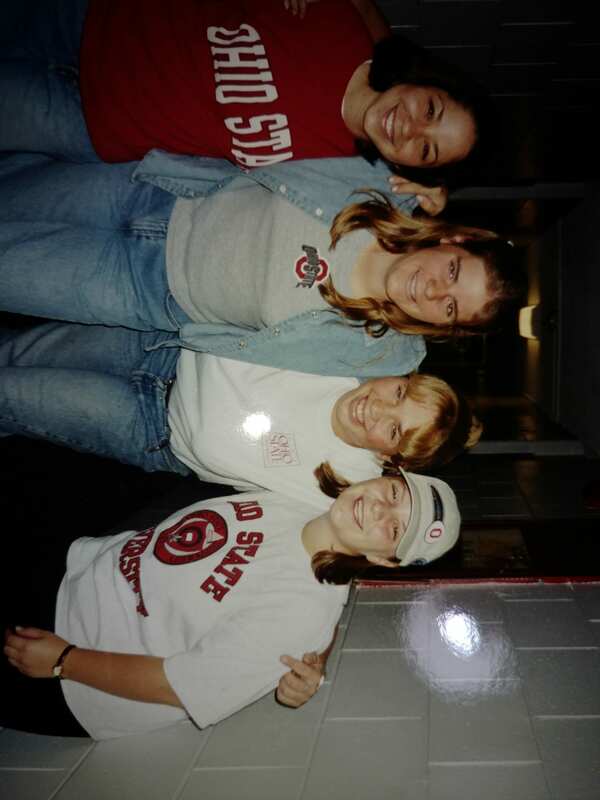 I made several lasting friendships at OSU, and really enjoyed the size and scale of the place. I came from a rural background, and found the size of OSU very different from what I was used to, and thus exciting. Some ag students found this a negative — a necessary evil in order to get their degree, and they went back home each weekend for high school sporting events, etc. But I liked to stay on campus because there was a lot going on! University 4-H hosted square dances in the Ag Admin parking lot, and they were fun. Teacher of vocational agriculture at Crestview Schools, Van Wert County, Ohio. 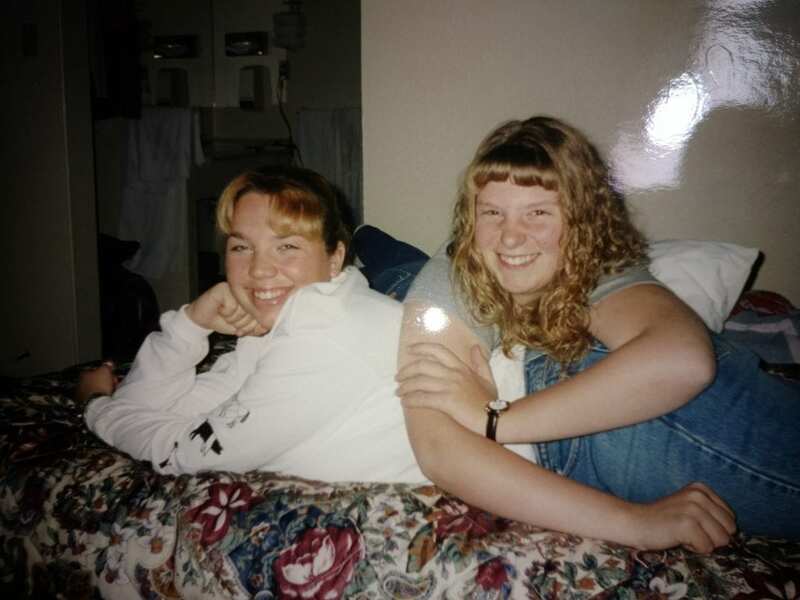 Vocational agriculture teacher at Crestview Schools in Van Wert County, then area supervisor of agricultural education for the Ohio Department of Education and State FFA Executive Secretary, then I changed careers, leaving agriculture for financial services/investments. I was a member of the state board of education for nine years – one term appointed by Governor Bob Taft, and one term elected by the voters. I received the Honorary State and American FFA Degrees, a distinguished service award from the Agricultural Education Society, and a career award from the College of Agriculture. I also received the Dave Kysilko Award for Outstanding Service to State Boards of Education, from the National Association of State Boards of Education. I am proud of some accomplishments while serving as state FFA executive secretary. I am also proud of having built a successful brokerage practice in Holmes County over the past 29 years. I learned “how to learn,” and how to organize activities. I learned how to write a curriculum and a lesson plan, how to teach the lesson, and how to evaluate student learning. All of these skills have great transferability to other careers and other activities in life, because they are disciplines of thinking in an organized way while maintaining a focus on the end result. Teaching is essentially the art and science of finding out what someone already knows about a given subject, and then moving their knowledge or skill to the next level. The ability to do that has broad application in life — well beyond a classroom. 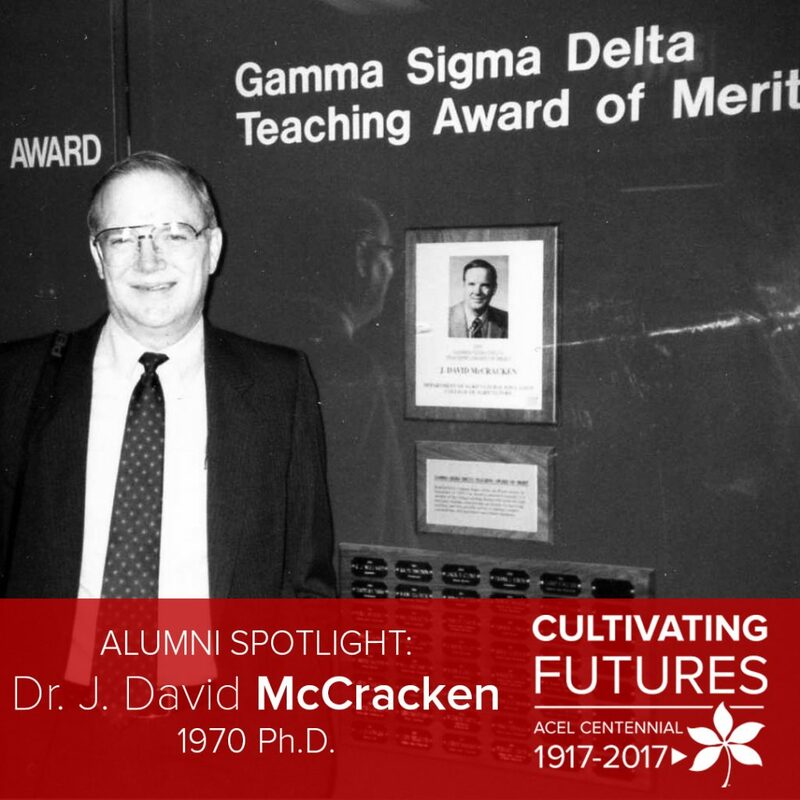 Dr. J. David McCracken graduated from Ohio State in 1970, receiving his PhD in agricultural education. He is now a professor emeritus at The Ohio State University. Why did you decide to get a doctoral degree in agricultural education at Ohio Sate? I was raised on a farm in Iowa, went to Iowa State University, then taught high school and adult farmer agriculture in Charles City, Iowa. My Iowa State University advisor recommended that I attend Ohio State if I wanted to pursue an advance degree at another university. 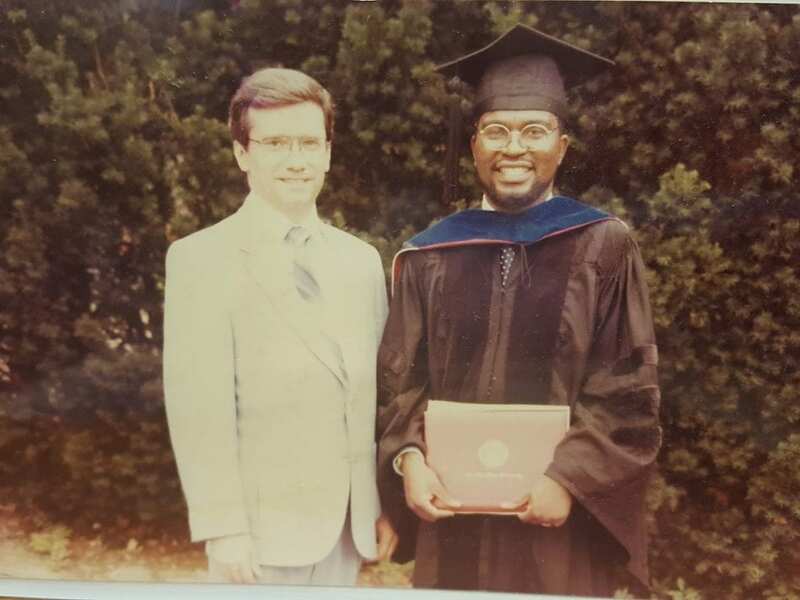 He said that Ohio State was the place to pursue the Ph.D.
Work with the professors in the department enabled me to obtain a faculty position in the department after graduating with my Ph.D. I worked at the National Center for Research in Vocational Education at Ohio State before moving to the academic department in 1973. I was a research associate with the “National Center” during my studies. I abstracted publications for the ERIC Clearinghouse on Vocational Education, which was located at Ohio State. My favorite class was in Research Design. It was a class I would later teach. Dr. Robert Warmbrod probably had the greatest impact on my career. He was my professor in the research series and later was my department chair. Robert Taylor, who directed the National Center for Research in Vocational Education, was my advisor and provided employment after my graduation with a doctoral degree. My favorite memory relates to the faculty and students with which I had the opportunity to work. I worked for the ERIC Clearinghouse on Vocational Education as assistant director. I was responsible for acquiring and abstracting documents and entering them into the system. After graduating from Iowa State University with a M.S. Degree, I was a Lt. in the U.S. Army Air Defense Artillery, teacher of agriculture at Charles City, Iowa, and then at Ohio State I was with the National Center for Research in Vocational Education and the Department of Agricultural Education. I advised 28 Ph.D. and 46 M.S. students to completion of their degrees. I produced 97 refereed papers, 38 invited papers, 24 non-refereed journal articles, 22 research and development reports, and 18 books or chapters in books. I served as advisor to the Malaysian Student Association and the Thai Student Association at Ohio State. This led to my serving a university in Malaysia as a Fulbright Scholar for my sabbatical year in 1985-86 and three years (1995-1998) after early retirement. I then returned to the U.S. and worked part-time for Ohio State until 2003 and the University of Arizona until 2006. Work to excel in all that you do. Assume you might someday teach the courses you are taking. Prepare! ACEL taught me to desire and work for excellence in all that I did. It also taught me that the colleagues with whom I worked were critically important to the success of all that we do. 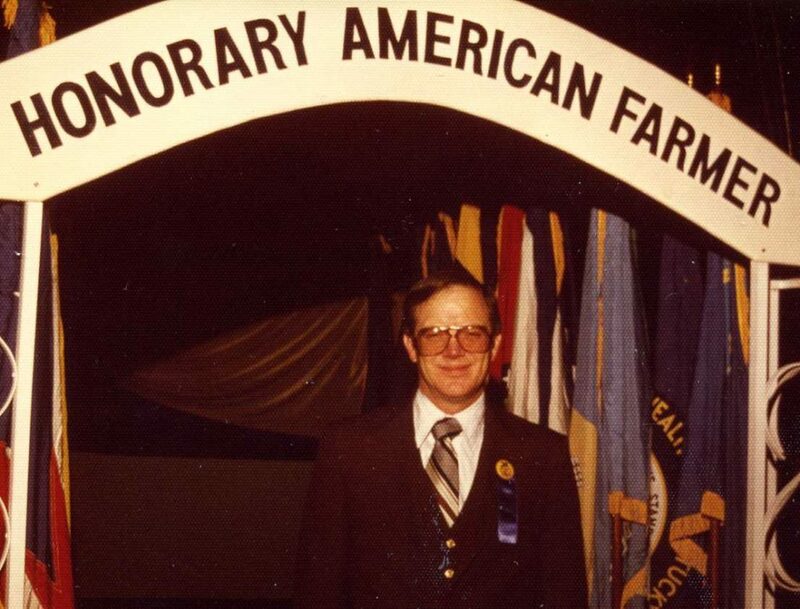 After receiving the Honorary American Farmer degree. My retirement from Ohio State in 1995. This month for “Talking Shop,” I am focusing on two historical documents that reflect on shops and rooms for farm shop and agricultural engineering during the early years of agricultural education (1919~1936). The first document, “Rooms for a Department of Vocational Agriculture,” was published in 1919 by W. F. Stewart and E.F. Johnson, first department chair and assistant professor of the Department of Agricultural Education at Ohio State, respectively. This publication concentrated on the locations, plans, and equipment needs for vocational agriculture programs. The second publication, “Farm Shop and Agricultural Engineering,” was prepared in 1936 by C.S. Hutchinson, a faculty member in the Department of Agricultural Education at Ohio State. This publication focuses on the objectives, rooms, and equipment needed specifically for farm shop and agricultural engineering courses. Both of these publications show the fundamental beginnings of the agricultural mechanics and engineering in the early years of agricultural education. Alumni Spotlight: Chris Clark ’88, ’94 M.S. Chris Clark ’88, ’94 M.S. 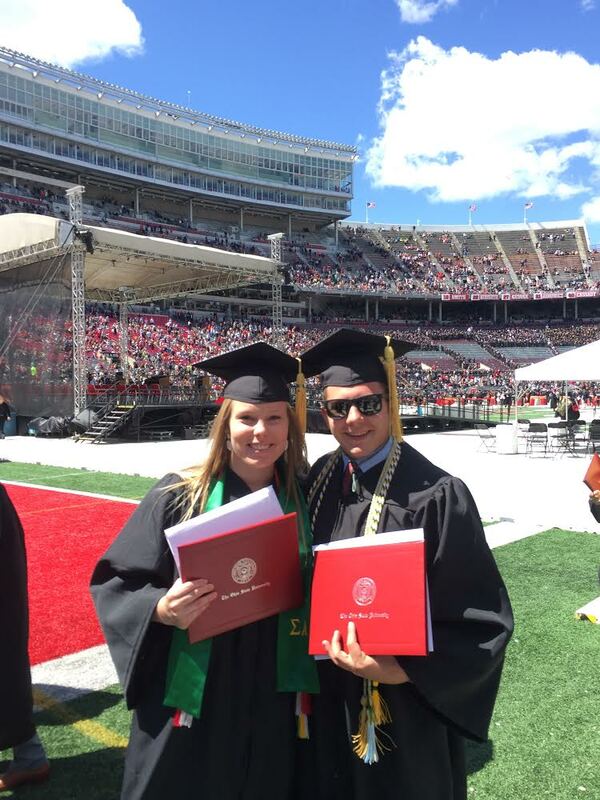 completed a bachelor’s and master’s degree in agricultural education at Ohio State. 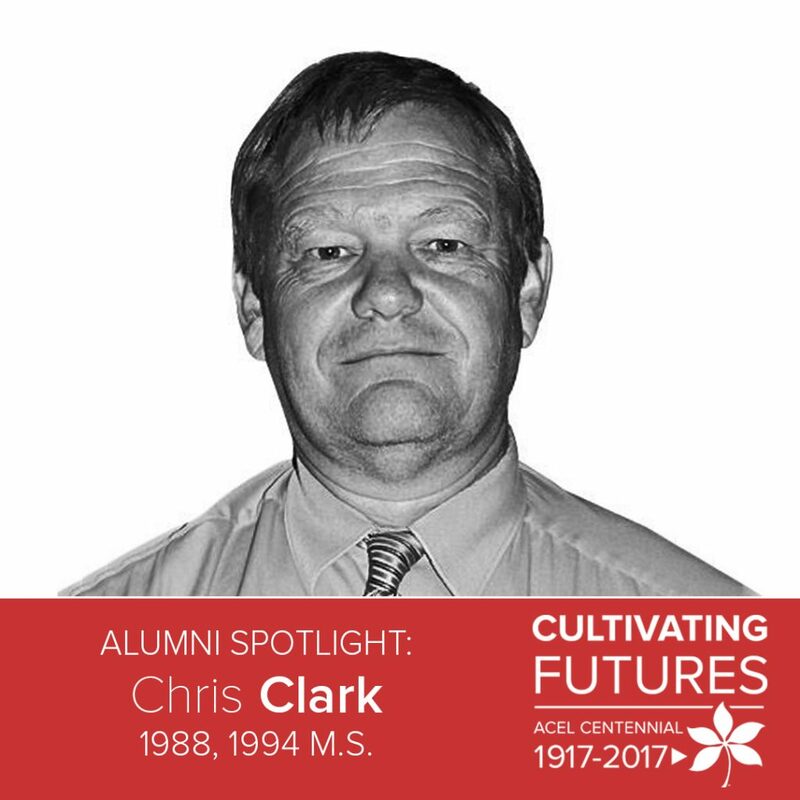 Following graduation, Clark became the agricultural education instructor for Madison Plains High School and later served as the school principal. He is now the superintendent for Black River School District, where he attended high school. [ACEL]: Hi Chris! Why did you major in agricultural education? [Clark]: I selected agriculture education as my major, after I completed agricultural education 200, which requried us to visit a school that offered agriculture education. After I had viewed the classes at the time which were taught at Wellington High School by Mrs. Whittington, I made the decision to major in agricultural education. I wanted to obtain a college degree and I was the first member of my family to attend college. I also had some personal reasons to attend the Columbus campus. Agriculture education allowed me to have some diverse training and I was able to choose some classes that allowed me to be very diversified in agriculture. I have used many of the concepts and ideas as both an ag teacher and a school administrator. I was involved in Alpha Zeta Fraternity, Agriculture Education Society and a college ambassador. I really enjoyed all my classes, the most challenging was animal nutrition classes with Dr. Tyznick and animal science classes with Dr. Plimpton. Dr. Jim Knight challenged me in my teaching methods classes. Had it not been for a lot of his comments and expectations, I would not have been able to survive my first year as a teacher. My favorite memory is just the four years while I was obtaining my BS degree; whether it is in class or student organizations. I was hired as the agriculture education instructor for Madison-Plains High School. Madison-Plains (10 years) and I am currently the superintendent of the Black River Local Schools. I was named the Outstanding Young Educator for OVATA (now OAAE). I also served as an officer in that organization. My favorite career highlight was the growth of the students at Madison-Plains and all that we accomplished in the areas of Education and FFA. Take advantage of all the education you can in college and accept failure and learn from it. ACEL cultivated in me a firm desire to want to be successful. All the staff I worked with helped push me along. I have continued to push myself and the persons and students I work with to do as well as you can and accept challenges. 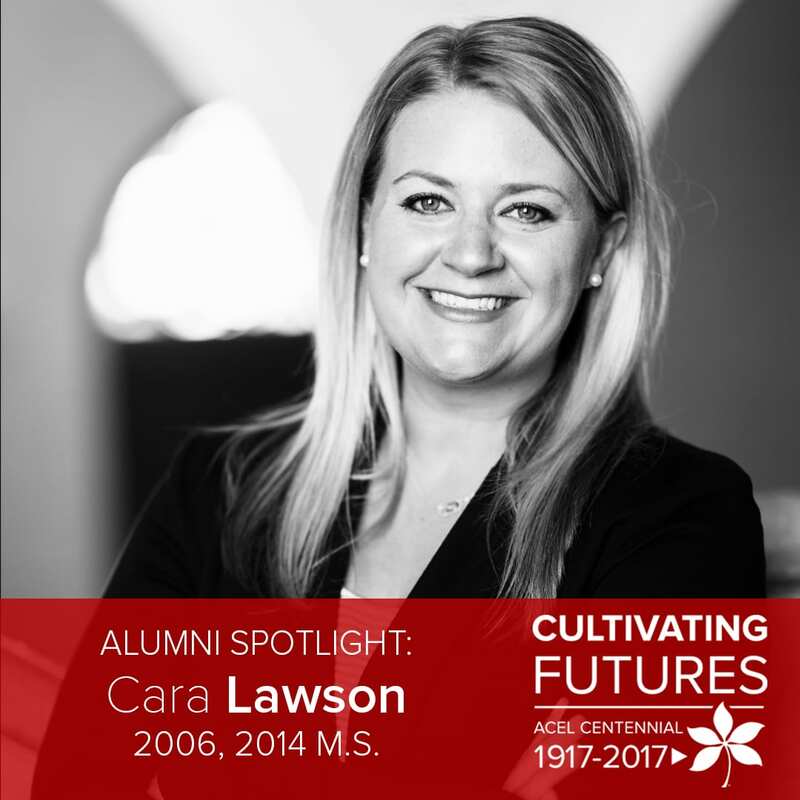 Cara Lawson is a two-time graduate of the Department of Agricultural Communication, Education, and Leadership. Graduating with a bachelor’s degree in agricultural education in 2006, Lawson returned to ACEL to complete a master’s degree in agricultual communication in 2014. She now resides in Lubbock, Texas is now a student at Texas Tech University, working toward a doctoral degree in agricultural communication. [ACEL]: Hi Cara! Why did you chose to major in agriscience education for your undergraduate degree and agricultural communication for your graduate program? I chose to study agricultural education for my undergraduate degree because I loved doing FFA activities and wanted to be an ag teacher. When I was ready to begin my master’s degree, I knew I wanted to study agricultural communication because I wanted to expand my disciplinary knowledge and give myself a leg-up for my next career move after working in the industry for a few years. Ohio State was well-promoted to me! As an aspiring ag-teacher, it was impressed upon me that Ohio State was the place I needed to go. I attended Sigma Alpha’s Young Women’s Conference and enjoyed getting to talk with the students and faculty. Coming from little Ripley, Ohio, it felt like I was off to the big leagues. One of the best things about Ohio State is the variety of experiences provided to students. Experiences at Ohio State come in terms of learning, meeting new people, being exposed to different ideas and opportunities, and being encouraged to try things. 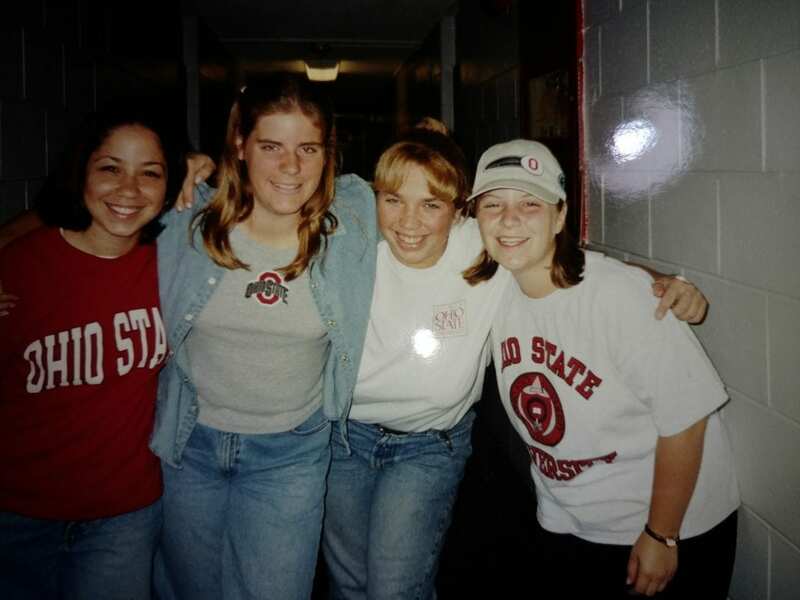 Ohio State also has given me great mentors who have always been helpful as I sought to navigate my career path. Having great professors at Ohio State has been a major driving factor in my decision to become a professor someday. As an undergraduate I was involved in Agricultural Education Society, Buckeye Dairy Club (all of my roommates were dairy farmers, so I figured I would join the fun), Alpha Sigma Upsilon, Towers Agricultural Honorary, Undergraduate Student Government, CFAES Ambassador Team, and the CFAES Banquet. My favorite class as an undergraduate was teaching methods. It was fun to practice our teaching methods and lessons with our classmates, who were often assigned student roles with varying behavioral issues to exhibit as we tried to get through our lessons. Even though I did not become an agricultural education instructor, I found teaching methods had provided me with applicable content and strategies that were relevant to a variety of teaching situations, not just in a high school setting. I also liked soil science, except for the chemistry part. When I was working on my master’s degree, I really enjoyed research methods because I learned I had basically been consuming data and designing surveys all wrong – what a eureka moment. My eyes were opened to reviewing data, statistics, and research from a more critical angle. This class taught me that if I really wanted to know the answer to a question, there was a proper way of asking and interpreting the results. Did you have a faculty member or professor who had an impact on your educational experience? The professors, faculty, and staff at Ohio State had and continue to have profound impacts on my education and career. Dr. Whittington brought a great level of energy and enthusiasm for agricultural education, and challenged us to create engaging content and lessons for our students. After her class, I believed that any topic could be made interesting if the appropriate teaching methods were used. When it was time for me to begin graduate school, Dr. Buck helped me to bridge the connection between academia and industry, and gave me opportunities to discover and learn like I hadn’t before. Dr. Cano provided me with good feedback in his research methods class and gave me confidence in my scholarly abilities. Of extreme importance, Dr. Straquadine shared the best jokes that I use on the regular. In addition, he was a very encouraging member of my thesis committee and great teacher who used very interesting methods and stories to explain concepts. All of these individuals, and more, helped me to see things I didn’t see in myself and I’ll always appreciate their feedback and encouragement. It is difficult to pick a favorite memory related to my time at Ohio State. All of my favorite memories come down to the people. One special highlight includes co-chairing the college banquet, as there was such a great group of fellow students, staff, and faculty working to make it great. I didn’t really know what I signed up for when I was elected co-chair, but it was such a rewarding experience. I also had so much fun in Ag Ed Society, and in the Block. And of course, football Saturdays provided classic memories with my roommates and neighbors along Neil Avenue. Following my education at Ohio State, I worked for Ohio Farm Bureau as a promotions specialist. 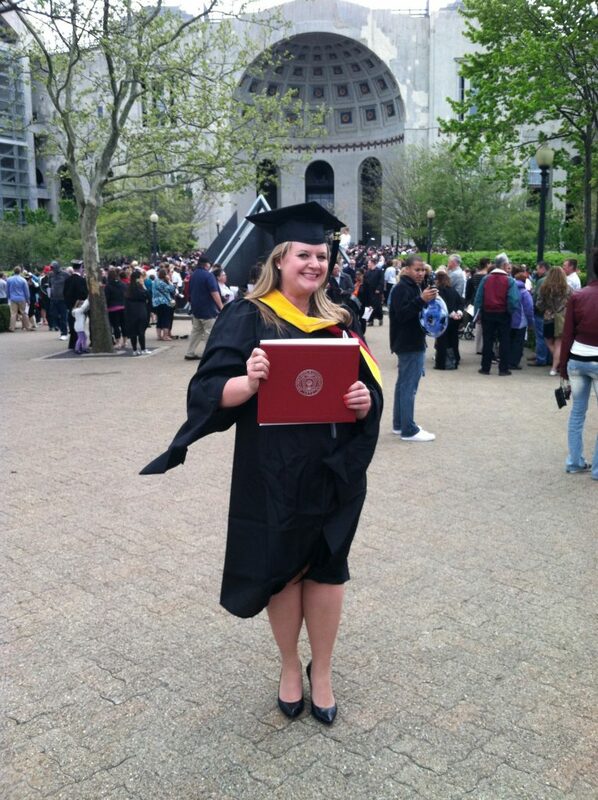 I started at Ohio Farm Bureau and then returned to Ohio State for my master’s degree as a graduate research assistant. From there, I worked for Farm Credit Mid-America and now I’m working for Texas Tech University and pursuing my Ph.D. In Texas, most of what I do is related to my education or career in some way. Before I moved to Texas, I was most recently involved in state and local Extension committee efforts. I was also involved with the Junior Leagues of Columbus and Cincinnati. My favorite career highlight so far was my work with college interns to create Ohio Farm Bureau’s exhibit at the Ohio State Fair. 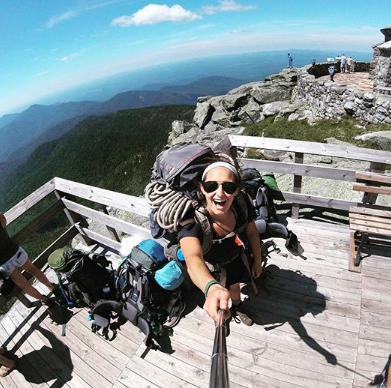 It was so much fun to get to know the students each summer, and every summer provided different adventures. I didn’t study abroad, and totally should have. So, current students, don’t make my mistake and go abroad during your time at Ohio State. ACEL cultivated the spirit of giving and helpfulness in me. The department helped me in so many ways to become a better student, professional, and person. ACEL gave me some of the greatest gifts – friends, mentors, learning opportunities, and experiences I would not otherwise have had. When I was in high school, I never really thought of my education going beyond a bachelor’s degree. I am so thankful that the people in ACEL saw things in me that I didn’t see in myself, and helped me to place myself on a path to an exciting and meaningful career that I would have never imagined for myself before Ohio State. Sometimes people just need a nudge to accel. As a future educator, I hope I can help and give to my students in the ways ACEL helped and gave to me. Graduating from Ohio State with an M.S. in agricultural communication.